Émilie du Châtelet was a French physicist, natural philosopher, and mathematician who contributed to our understanding of Newtonian mechanics. Her translation of Sir Isaac Newton’s book the Principia is considered the standard version in French today. 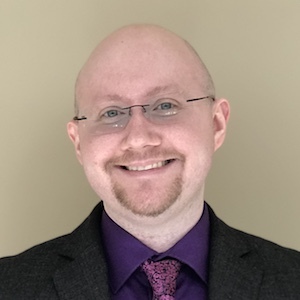 In addition to translating this work, she included her own commentary, adding a conservation law for total energy that emphasizes the role of kinetic energy. She is also famous for her masterful textbook, Foundations of Physics, which takes a philosophical approach to the sciences. On December 17, 1706, Émilie du Châtelet (née Le Tonnelier de Breteuil) was born in Paris, France, as part of the aristocracy. Because her father was an official of the court of Louis XIV, the Le Tonneliers often entertained notable scientists and mathematicians, exposing young Émilie to their ideas. She was educated at home, where she became an accomplished athlete (particularly in sports like fencing and riding) and learned 6 languages by age 12. However, her heart was set on the sciences and mathematics. Her father encouraged her studies and even arranged meetings for her with important scientists in his social circle. Émilie du Châtelet. Portrait by Maurice Quentin de la Tour. Image in the public domain in the United States, via Wikimedia Commons. Despite these advantages, du Châtelet knew that she would face more limitations because of her gender, so she became resourceful early on. For instance, she took up gambling and used her math skills as a distinct advantage, spending her winnings on laboratory equipment so that she could conduct experiments. At the age of 18, she married Marquis Florent-Claude du Châtelet, an army officer. She transformed entire rooms of their large estate into science labs and had a collection of books larger than many universities. Du Châtelet continued to socialize with and study under prominent scientists and writers of the day, including astronomer Pierre Louis Moreau de Maupertuis, mathematician Johann Samuel König, and physicist Alexis Clairaut. One of the intellectuals du Châtelet encountered in her social circle was the writer and philosopher Voltaire, with whom she had a long and storied relationship. Voltaire encouraged du Châtelet’s pursuits in math, science, and philosophy and coauthored works with her. By the 1730s, du Châtelet had studied with the greats and was determined to find a way to make her own advances in the sciences. However, as a woman, she was not allowed into the French Academy of Sciences meetings and was only welcomed to café gatherings when she dressed as a man. Due to her aptitude for languages, she began translating works in various subjects, sometimes omitting parts and adding her own thoughts. For example, in the preface to a translation of The Fable of the Bees (a book on morals), she expressed her frustration about the position of women, writing: “I feel the full weight of the prejudice which so universally excludes [women] from the sciences.” In fact, she often discussed women’s education and social roles in her translations of nonscientific works. She researched and experimented heavily (and in secret) during the 1730s, and her work paid off. In 1737, Voltaire was working to enter a French Academy of Sciences contest, so du Châtelet submitted her own paper alongside his, discussing the nature and propagation of fire. With this essay, she was among the first scientists to introduce the concept of infrared radiation. While her paper didn’t win, it was well received and published with the winning essays (including the top paper by Leonhard Euler). Soon after, she was accepted as a member of the Republic of Letters. 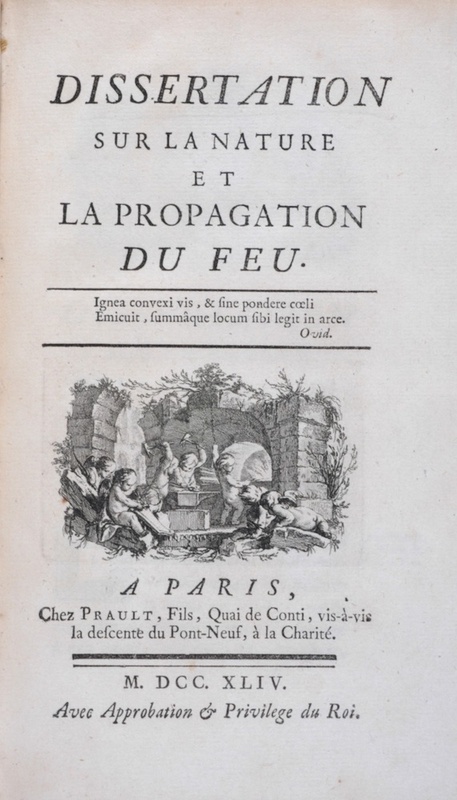 Title page from du Châtelet’s essay on the propagation of fire. Image in the public domain in the United States, via Wikimedia Commons. 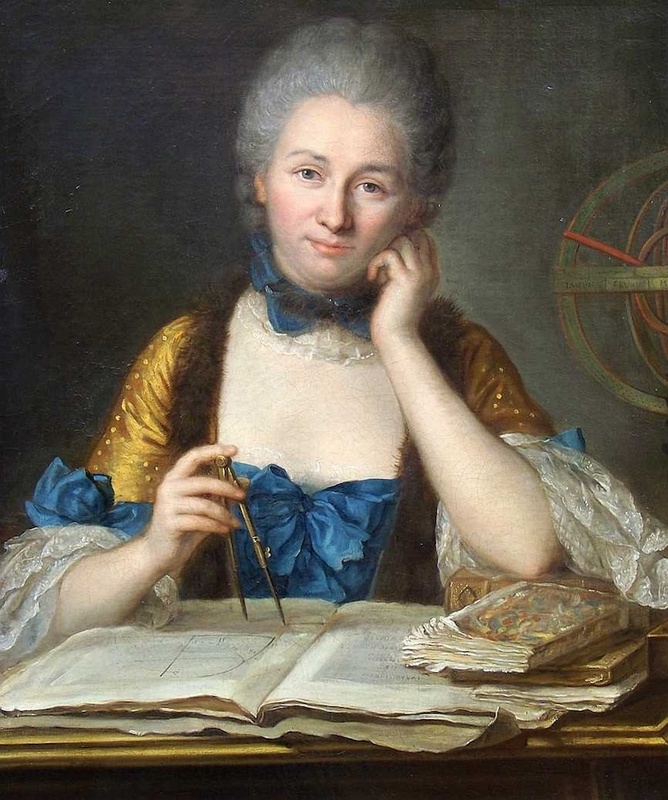 By 1738, du Châtelet was intensively studying the work of mathematicians Gottfried Wilhelm Leibniz and Isaac Newton. She contributed whole chapters, particularly on optics, in a book jointly written with Voltaire, Elements of the Philosophy of Newton. Voltaire acknowledged her significant contributions, even though it was his name alone on the book cover. This book helped popularize Newtonian physics over Cartesian philosophy for much of the French population. Inspired by her research on Newtonian mechanics, she repeated an experiment by Willem ‘s Gravesande. By dropping lead balls into clay beds, she was able to demonstrate that the balls that hit the clay with twice the velocity made an impression in the clay that was four times as deep, while balls with three times the velocity penetrated nine times as deep. Through these findings, du Châtelet was able to correct an error Newton had made. Newton had said that energy was proportional to mv, but du Châtelet found that energy is actually proportional to mv2 — meaning each ball’s kinetic energy is proportional to the square of the velocity. Her work up to this point culminated in her magnum opus: Foundations of Physics. Originally intended as a comprehensive textbook for her son, the book discussed natural philosophy as well as attempted to reconcile ideas by Descartes, Leibniz, and Newton. The book’s publication and its contributions to the debate about kinetic energy and the conservation of energy later helped her become a member of the Academy of Sciences of the Institute of Bologna in 1746. Du Châtelet wasn’t quite finished with Newton, however: One of her later projects involved translating Newton’s Principia from Latin to French as well as providing extensive commentary. In this work, she corrected and completed many of Newton’s hypotheses and, in doing so, helped her country play an important role in Europe’s scientific revolution. By clarifying some of Newton’s more obscure ideas and providing thorough examples and derivatives of his work, Émilie du Châtelet proved to be an accomplished physicist and mathematician in her own right. She even came up with an original concept about the conservation of energy. During her life, she did not always receive the acknowledgment she deserved, but we now celebrate and credit her with many scientific accomplishments. In recognition of her contributions toward Newtonian proofs of attraction and astronomy calculations, a crater on Venus has been named after her, as has a main-belt minor planet. Join us in wishing Émilie du Châtelet a happy birthday!